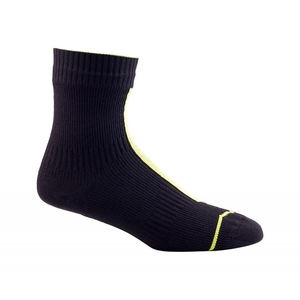 Sealskinz Road Ankle Socks w/Hydrostop. 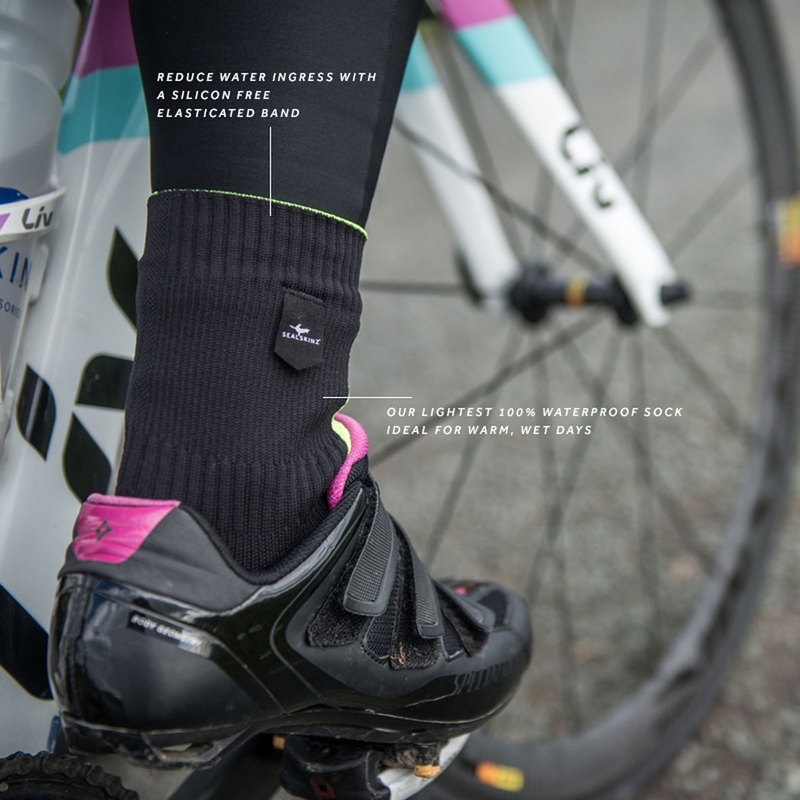 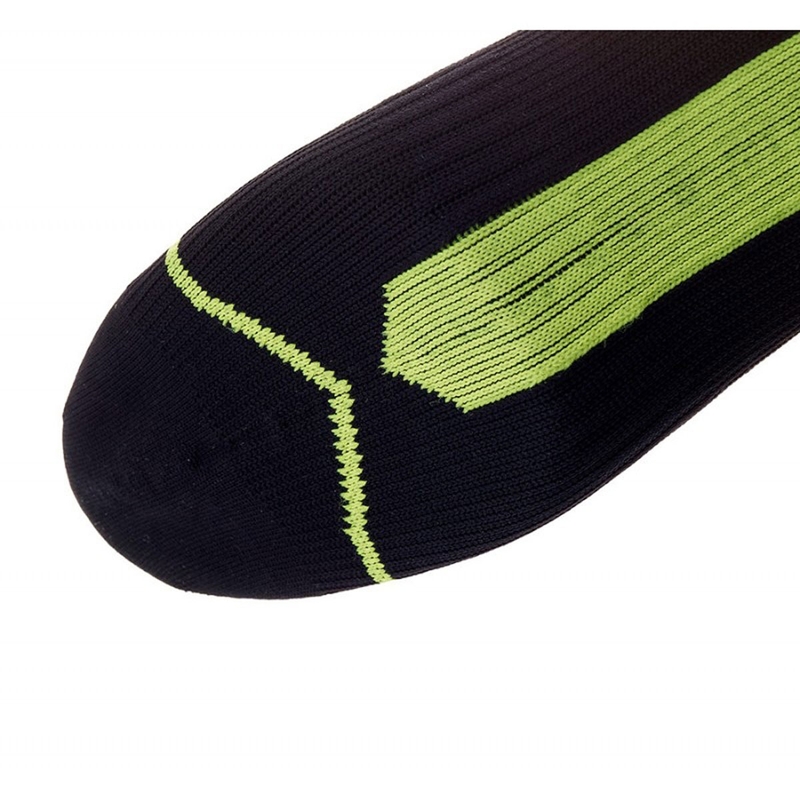 A performance thin weight waterproof ankle sock designed specifically for Road Cycling for conditions where minimal insulation and maximum breathability are required. 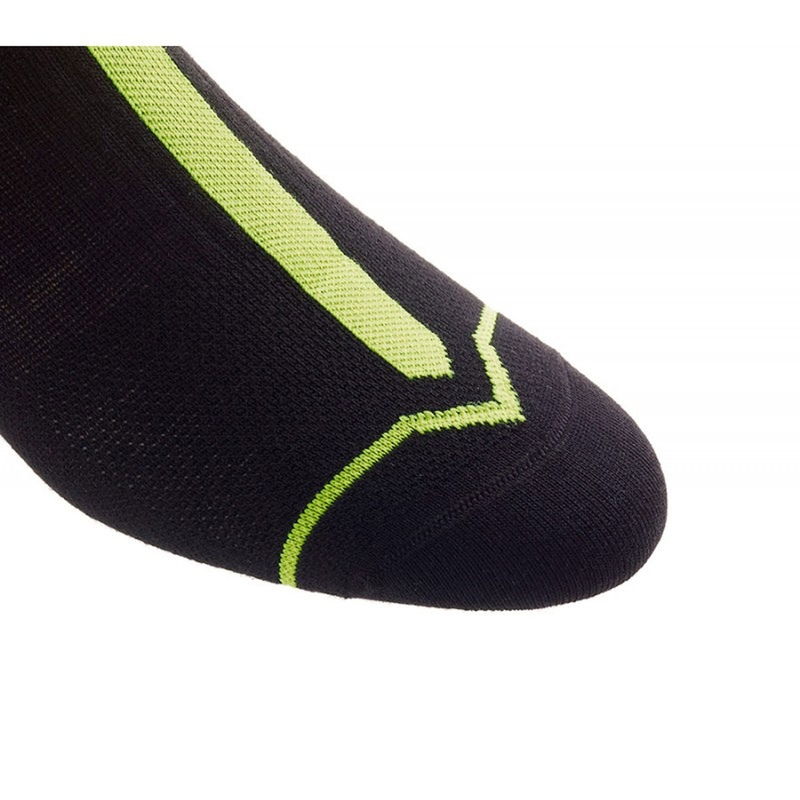 Featuring our unique Hydrostop technology which gives you a much more secure fit between your leg and the top of the sock, meaning the chance of water ingress through the top is massively reduced.